A new tradition to keep! Whilst I had a little break at the start of the year, I decided that I should make the effort to get up and enjoy the sheer beauty of nature. I must admit I am not really a morning person and thankfully no one was around except for a few brave fisherman around the beach area in where my family and I stayed. Walkerville in Victoria was the location of our little getaway and with the beach house only 10 minutes walking distance away, I really had no excuse in not making the most of the opportunity. 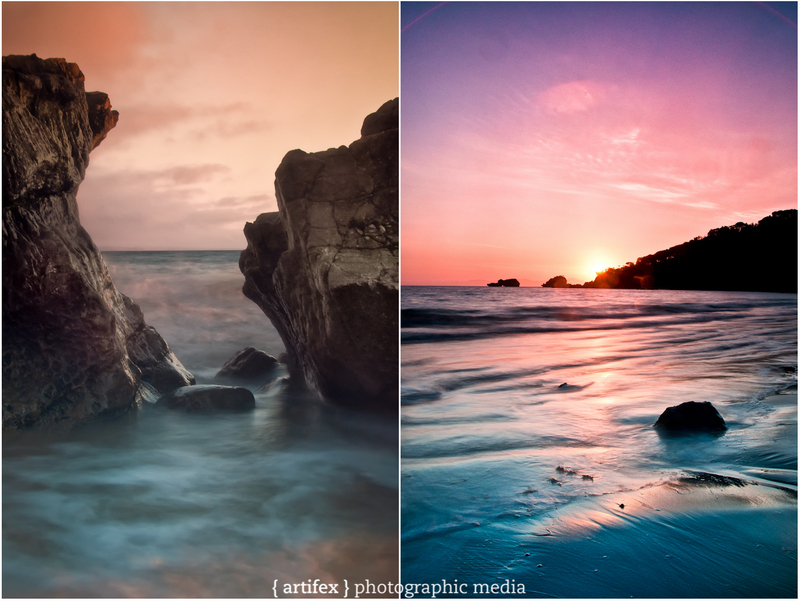 These two photos were taken down at the beach on Waratah Bay on the 1st January 2012. I was amazed at the beautiful array of colours from the sunrise and it just made it all worthwhile so from now on a new tradition will follow on the 1st of every year where ever I maybe at that time!